Lately I've been coveting a gold chain link bracelet to add to my arm swag collection. They're classic and chic and have been spotted on celebs such as Olivia Palermo to some of our favorite bloggers. They can easily be dressed down with jeans and a tee or dressed up with a pencil skirt and a gold watch to go along with it. 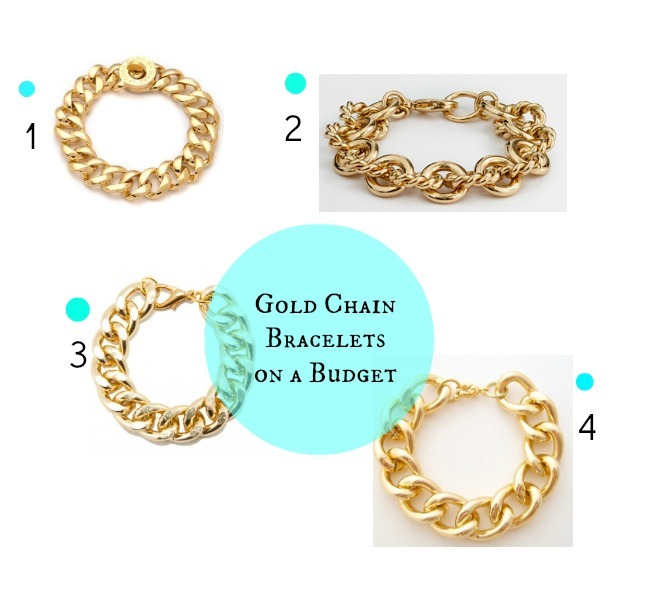 Here are 4 gold chain link bracelets that won't break the bank.